Most baby teeth will fall out without intervention. It is Dr. Nick’s opinion that it is often better to allow nature to take its course rather than to recommend extracting a baby tooth. However, there are circumstances in which it is better for a child’s overall oral health for baby teeth to be extracted. Topical and/or local numbing medication will be placed for your child’s comfort. After placing this medication, Dr. Nick will allow plenty of time so it may achieve its maximal effect. The additional time will enable your child to relax while the gums surrounding the tooth to be extracted become numb. Next, Dr. Nick will carefully and gently loosen the attachment of the tooth to the gums and bone, allowing the tooth to slide out of the gums completely. 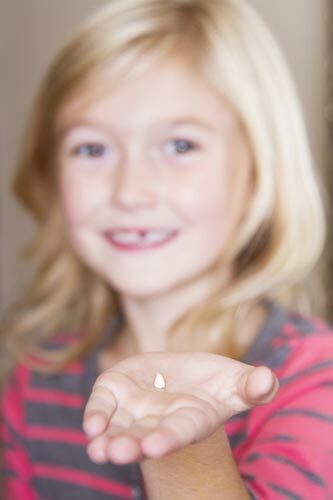 Dr. Nick will place a small piece of gauze on the gums where the tooth was extracted and your child will be asked to bite to hold the gauze in place. This should be held in place long enough to allow the body’s clotting process to occur, typically 20 minutes. Should bleeding initiate again, simply place more gauze (which will be provided by our office) and have your child hold it in place with firm pressure for another 20 minutes. If this does not lead to resolution, or if you have any other questions, please do not hesitate to call our office at 303-793-0899.